Disneyland Paris is owned and operated by French company Euro Disney S.C.A., a public company of which 39.78 percent of its stock is held by The Walt Disney Company, 10 percent by the Saudi Prince Alwaleed and 50.22 percent by other shareholders. The senior leader at the resort is chairman and CEO Philippe Gas. low and there were protests by those who thought a Disney park in France would damage the French culture. - And Gold Disneyland with 27-hole golf course. 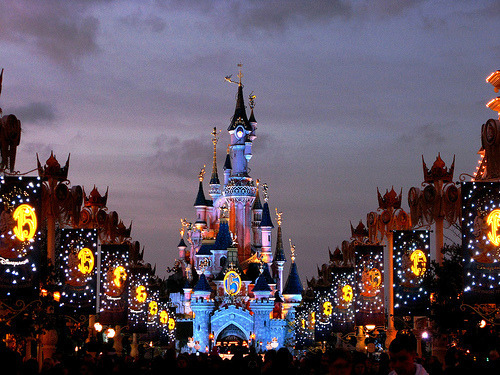 The best times to visit Disneyland Paris is on weekdays. The least-visited times seem to be September-October and May-June. Considering the French weather, June is likely the safest bet. You'll probably be able to get some very good deals during these times. 1. 1 Day Dated Passport – Valid for fixed date. The ticket can be used to access either the Disneyland Park or Walt Disney Studios Park. Postage costs are included in the price of a 1 day dated ticket. 2. 1 Day Classic Passport – valid one day in the three years following its purchase date for either the Disneyland Park or Walt Disney Studios Park with the exception of certain dates. 3. 3 Day Hopper Classic Passport – valid for any three days in the three years following its issue date, offering unlimited access to the two theme parks.